With Spring and Summer just around the corner, I am totally lusting over a shoulder length haircut accompanied by some tousled curls. I haven’t had a haircut since January and my hair is getting extremely long to handle! I’m thinking of updating my look with a fresh cut, some added ombre highlights, and one of these days, attempt to create these effortless tousled curls (which requires a lot of effort on my part!). To create tousled curls, I typically use a flat iron or wrap my hair in a bun and let it down after a couple of hours and spray it down. Do you have any trade secrets to share?! Would love to hear how you create your tousled curls! Please share with me by commenting below! 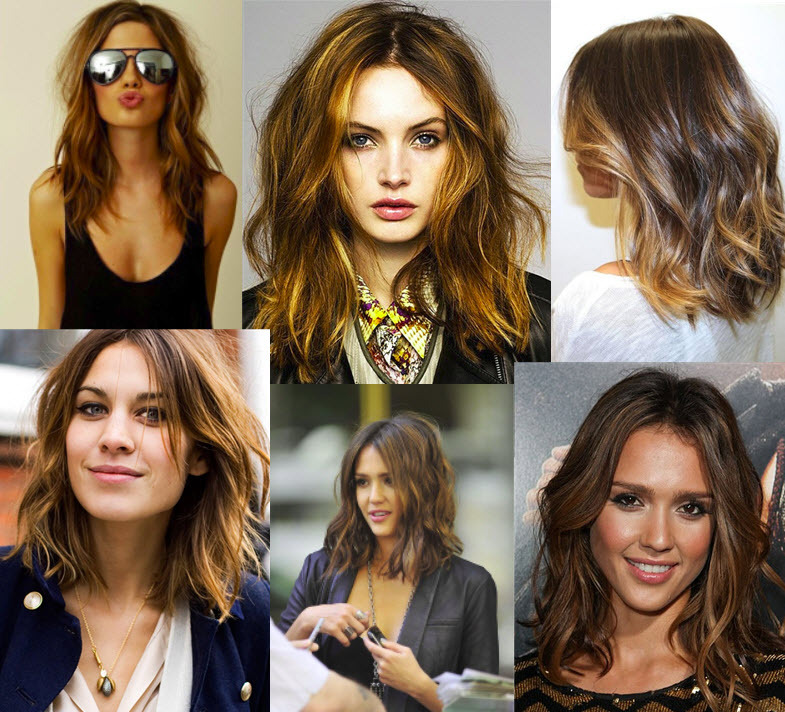 I really like some of those hairstyles, although I’m partial to longer hair myself (growing mine out.) To add a bit of wave to my stick-straight brown hair, I usually French-braid mine while it’s wet or damp. My hair is pretty good about holding curls, but using hairspray before or while it’s in a braid would probably help if your hair tends to flatten out after a few hours. Love this! Doing it today, now that you’ve inspired me. Good looking hairstyles and if only they were truly effortless. Enjoy your new look.